In addition to hiring a photographer or videographer to record the wedding ceremony, bridal party photos, and reception shots, many couples also choose to get a wedding reception photo booth to invite guests to come up and take candid, fun shots to mark the occasion. Not only are Portland photo booth rentals a great way to get good pictures, but they also provide guests with entertainment during the reception, and a free favor photo strip to take home. Before you rent a photo booth for a special event, such as a wedding celebration, make sure to take the time to learn all you can about how to maximize the benefits of this fun and interactive feature. Getting a photo booth in Portland? Make sure to call SnapZone Photo Booth and reserve your booth well in advance of your special day! Remember those tiny little booths at the mall where everyone tried to crowd in there to get into the photo? When you get a photo booth for a special event, make sure to choose an open booth. Unlike traditional photo booths, an open photo booth is large enough to photograph an entire group of people all at once without anyone having to “crowd” into the space. Our Portland photo booth rentals feature lots of great options that will allow you to customize the look and feel of the space to increase the excitement and enjoyment of your guests. 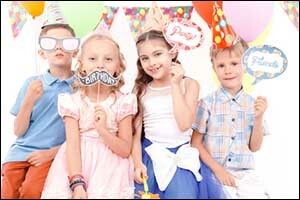 There are many advantages to choosing an open photo booth from SnapZone Photo Booth in Portland. Don’t just think that your guests will know to visit the wedding reception photo booth – lead the way! The bride and groom, followed by the bridal party and close family members, should all take a turn in the Portland photo booth rentals. Guests will see what you are doing and will want to try it out too. 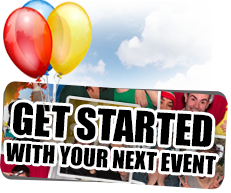 You can even hang out and take pictures with your guests for even more interactive fun! 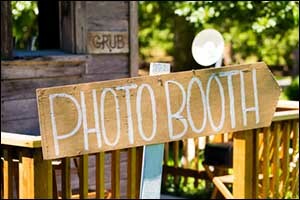 You will want to make sure that the photo booth for a special event is in a convenient and obvious location. Don’t tuck it away in a corner or no one will be able to find it. Include signs that direct people to the booth and encourage your bridal party to get people over to the photo booth to take pictures during the reception. 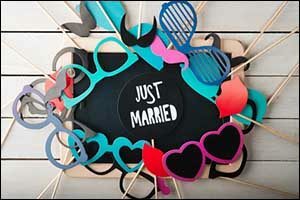 Work with the company that provides the photo booth in Portland on standard and custom props that your guests can use when you rent a photo booth. Feather boas, funny hats, fake mustaches – these are all standards for photo booths. Custom signs that congratulate the bride and groom, as well as wedding props, can also be added to mark the occasion. 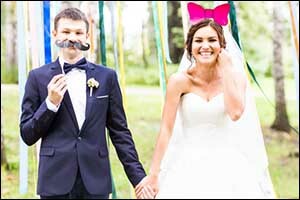 Make sure to check with the wedding reception photo booth company to ensure that adding extra props is acceptable. Select custom photo strips and other prints that include the date and location of your wedding, as well as information about the couple. Photo strips make a great memento of the wedding reception, but when they are customized, it just adds an extra touch of class. When you contact the company to rent a photo booth, make sure to ask about options for custom prints and get details on having access to all the pictures at the end of the evening. Do not choose Portland photo booth rentals that do not include an attendant. Having a professional on-site to ensure that everyone goes where they need to go and has access to all of the props and other options is priceless. Most booths will include an attendant, but it is still important to ask just to make sure. The attendant will work with your guests and encourage them to take pictures. They can also help out if anything stops working properly, providing troubleshooting or repairs as needed. If you are thinking about renting a wedding reception photo booth for your wedding, give us a call at 503-207-2020. Our team can help you choose the best package according to your needs and your budget. Call to check availability or get pricing on any of the wedding reception photo booth packages for your special day. Make sure to ask about our unique photo booth props and backgrounds, packages and pricing! Contact us today to BOOK a BOOTH for your special event!